I love photographing birds but it is a challenge even if you do have all the “right” gear such as long telephoto lenses. But even though I only used a Fuji HS 10 I am happy with this image of the white faced heron taken while on our recent holiday at Phillip Island, Victoria, Australia. It is not just the bird but the almost abstract look of the sea behind with its strong contrasting colour which I find pleasing. With the lens extended to maximum I used the rail along the boardwalk as a resting spot for the camera as I had not carried a tripod and holding the camera steady enough for sharp focus at 30x optical zoom is difficult. If you can cope with the slow processing times the Fuji HS 10 is great and as my physical ability to carry all my lovely Canon DSLR gear diminishes, I am resorting more to the portability of this little digital camera. It even has a manual focus ring like a true SLR for those times when you prefer not to use auto focus. 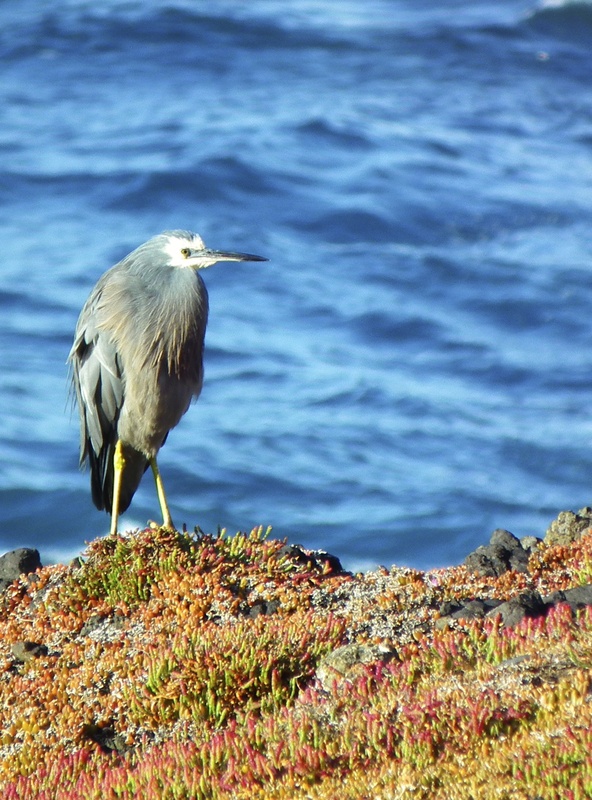 This entry was posted in All things Coastal, birds, photography, Tasmanian artists and tagged bird photography, coast, Fuji HS 10, herons, holiday photography, nature photography, Philip Island, shore birds, whote faced heron.